The original MapleStory, released in 2003 for Korea, was an instant success with gamers all over the nation. The simple, yet polished classes, the intuitive, yet highly enjoyable game play, and unique 2D side scrolling graphics all contributed to its massive success. 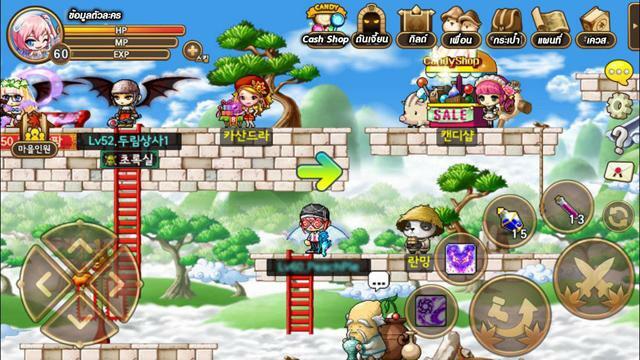 Designed to allow fans to take their beloved MapleStory on the go, this app primarily caters to iPhone and Android users. With its simple, yet effective program, Nexon has created a very effective app for playing MapleStory with virtually zero lag or downtime. It can be downloaded in the “App Store,” if you own an iPhone, or in the “Google Play Store,” if you own an Android. MapleStory is known for its unique quests and dungeons, as well as its 2D side-scrolling graphics. In the game, you can play any number of classes and you get to choose if you want to complete quests, explore dungeons, or relentlessly farm monsters, all the while gaining experience points and leveling up your abilities. Since the original release of MapleStory, Nexon has added a vast number of classes. Currently there are Explorers, Cygnus Knights, Heroes, and Resistance. If you’re a beginner, it’s recommended that you start out as an explorer. They’re a very simple class, yet can grow into very powerful characters (you choose between a warrior, magician, bowman, thief, or pirate). If you’re looking for more variety, but aren’t quite yet to take on a difficult class such as the Heroes or the Resistance, try making a Cygnus Knight. They’re a bit more complicated than the original Explorer class, but their development parallels that of the Explorer class, so it’s a new twist to a familiar style of playing. If you’re an advanced player, try taking on a Hero or Resistance character – they’re very difficult to play, but if you can get the hang of it, you will be a very powerful force to reckon with. Overall, MapleStory is a classic MMORPG, and is beloved by fans. With an almost limitless number of quests, dungeons, and monsters to kill, it’s sure to keep you hooked from the second you make your first character. 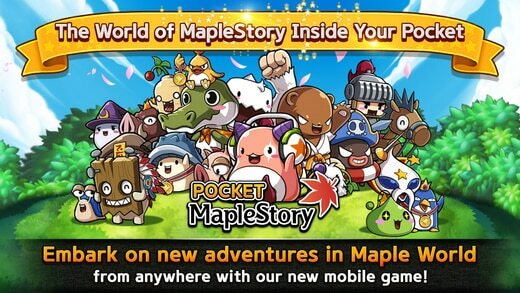 Warrning: Pocket MapleStory servers shutted down and it is removed from iOS and Google Android App Stores! Try the new MapleStory M for PC! Sometimes when playing Pocket MapleStory, bluestacks asks you fee to pay but gives you option to download some apps. Every time it asks you just select “Install apps” and continue using it free. I hope you enjoyed this guide, please sharewith your friends. If you have problems running Pocket MapleStory on desktop pc or any other issues, leave a comment below.